Great question! Besides the very basic, but sometimes hard to accomplish, getting plenty of sleep, washing your hands frequently, exercising and eating a healthy diet, here are a few things that I do for my family. The first thing I would like to recommend you take is grapefruit seed extract. This wonderful little extract has anti-viral, anti-microbial and anti-fungal properties. I believe it to be a very potent way of fighting off all of the little viruses and microbes out there, and have used it in nasal spray, liquid and pill form. It is wonderful as a nasal spray if you happen to be prone to sinus infections. I prefer the pill form to the liquid form because it has a very bitter taste. Vitamin D3 is another very important addition to your supplements, especially if you are a heavy sunscreen user or if it is during the winter. Recently this vitamin has received much attention because of surfacing research on the role it plays in everything from diabetes to cancer to simple immune function. I have read a variety of statistics stating that anywhere from 75% to 93% of American adults are deficient in Vitamin D – wow!!! Couple that with the fact that our main source of Vitamin D, the sun, is greatly limited in its ability by over-use of sunscreen and the fact that during the winter in the northern regions of our country we tend to stay indoors and the sun’s rays are simply too weak for our bodies to produce enough, and you have a great reason for a “cold and flu season”. Unless your diet is rich with foods that naturally contain decent amounts of Vitamin D, such as salmon and shitake mushrooms and you like to play outside in the summer without sunscreen, you should consider supplementing. Another thing to note is that you can have your doctor do a simple blood test to determine whether or not you are deficient. Perhaps you have heard it said that your digestive system is closely linked to your immunity. The reason for that is the good bacteria that lives there. This friendly bacteria is beneficial for digestion, allergy relief and immunity. It pays to build up your digestive army! So, for optimal immunity, add a daily (or several times daily) dose of quality probiotics to your diet. This can be done in the form of probiotic-rich food and/or supplementation. This is also a great help if you are experiencing any digestive issues. 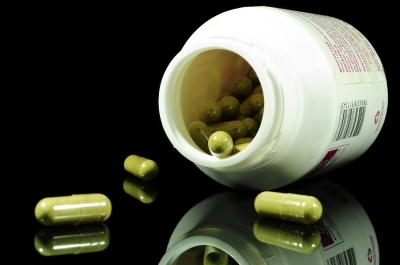 If you have recently taken antibiotics, it is especially important that you supplement heavily with probiotics. Remember antibiotics kill good bacteria as well as bad and thereby weaken your immune system. Another extremely important supplement to fight off colds and flus is Vitamin C. This vitamin is water soluble and washes out in your urine, so the only side effect of too much is stomach issues, mainly diarrhea. I like to take Emergen-C when I feel myself coming down with something. It seems to be effective and doesn’t upset my stomach. I give half of the adult packet to my kids a couple of times a day if they are fighting something off. Finally, I would recommend you eat garlic or take it in pill form. I have found this wonderful food to be particularly effective when I have had bronchial issues, even to the extent of clearing up bronchitis that a course of Zithromax couldn’t get rid of. If you are offended by the not-so-subtle odor, odorless pills are readily available. Garlic has so many health benefits that no natural medicine cabinet should be without it. I have even bought the odorless garlic in gel cap form and mixed it in yogurt or spread it on the bread of my kids’ sandwiches or toast when they have been run down. They were none the wiser, but much healthier for it. I find it a bit difficult to cut my list short here because there are so many wonderful herbs that I have found to be effective immune boosters and cold fighters, but lately this is my top list for keeping myself, my hubby and my kiddos healthy. We have used these things for the last couple of years, and with the exception of a few sniffles here and there have had a fairly healthy household. I just discovered your blog while searching for alternates to talc, and I love your work! This blog has answered a few questions I’ve had for a while. About that grapefruit seed extract…I have a bottle for myself and am going to try it for my kids (after a quick call to check with the pediatrician.) I’m not sure how to get it into their diet. They aren’t going to swallow those pills (they are only 4 and 6) I’m thinking maybe put it in a smoothie? Do you have ideas for ways to slip this, and probiotics, into their diet? Hi Wendy, Thanks so much for the kind words. I’m very glad you had some questions answered! As far as the grapefruit seed extract goes, you are right on track with the idea of mixing it in something. It has a very bitter flavor by itself. A smoothie would probably work well. Probiotics mix well into smoothies, too, or yogurt or applesauce. I used to do this for my kiddos all the time when they were little. They actually got to the point where they would hand me whatever they were eating or drinking and ask me to put their vitamins in it! Good luck, and let me know if you have any other questions. I have an 11 month old who is sick at least every 3 weeks. SHe has fever of normally 101-105, very fussy, no sleep. She has been in the hospital 3 times becuase her fever gets so high. They always say its a bad virus. She has been through several test and we haven’t recieved any results relating to the “illness”. The doctors say “we can’t find anything wrong it must be a virus”. Does anybody know of what I can give her to boost her immune system, or when she does feel bad what I can giver her, or a website I can use? I have heard of Vitmin D, vitamin c, oregeno oil BUT I can not seem to find dosage or any clear information regarding babies. Please help. Hi there, first of all, let me just say that I am so sorry that you are going through this with your little one. It is very difficult to have a child who is sick frequently, especially when they are so little. The first thing I would ask myself if I were in your shoes is whether or not your baby could be allergic to any of the foods that are in her diet. Chronic illness like that can be a sign that she is not tolerating solid foods (or dairy or wheat or something else) well. Do you breast feed? That is one of the first lines of defense for your child’s immune system. It also may be that something in your diet is affecting her. I would make a little journal of what she is eating (or what you are eating) and when she gets sick to see if there could be a link. Next question: is she around a large group of children on a regular basis, such as day care or a church nursery? That also can lead to frequent illness. Obviously, it isn’t always possible to control that, but it does help you to know that that might be where the illness is coming from. Have you asked your pediatrician about the dosages of the vitamins you are interested in giving her? I am not a medical professional, but I can share what I have done for my kiddos. My doctor advised my to give my infants probiotics, both for digestion and to boost their immune systems when they were little. You can purchase probiotics that are specifically geared towards infants from health food stores. I used the brand Udo’s for my kids. I would stay away from oregano oil for a child her age. As for Vitamins C and D3, I would definitely start giving her some daily to boost her immune system. Many health food stores carry formulas specifically geared towards children and they should have dosages on the container. Vitamin C is water soluble, which means it does not build up in the system, so it is pretty safe. The only issue can be an upset tummy and diarrhea if she gets too much, so give her small amounts (50 mg) several times a day. As for Vitamin D3 (be sure that it is D3, not D2), my doctor’s advice to me has been to give my little ones 1000 units on a daily basis (5000 for me) and when they are sick to give them 10,000 units per every pound of body weight for up to a week (20 lbs. = 20,000 units). This may sound like a lot, but in the northern hemisphere, during the winter months our body’s are not able to produce it from the sun. If you add to that the high usage of sunscreen, there are many people that are deficient, and what we would make from the sun with normal exposure (such as people used to get) is much more than what we could supplement. One last thing; I used to buy garlic capsules for my kids and squeeze them on their food and rub the oil on their feet when they were very little. They didn’t notice the taste mixed in foods, and since the skin is an organ with the ability to absorb, it can be very helpful. I also frequently use lavender oil. I know this is long, but I hope it is helpful. If you are still not finding a solution, please seek out a chiropractor or another natural health practitioner to help you. Hi I have 12 month old twins, they are on their 2nd ear infection in their life. (on antibiotics) they developed a horrible diaper rash (maybe yeast infection) and they have very watery diarreah!! (dont know what to do about either) we have tried all the ointments and lamisil, neosporin and I started them on probiotics as soon as they started the antibiotic. what do you recomend. they are on their 6th day of a 10 day regimin. Can babies that age take grapefruit seed extract? How should I treat the diaper rash, and in the future how can I treat an ear/sinus infection? or better yet prevent. So sorry that your babies are sick. It is so hard to see them sick when they are so little. Given the fact that their stools are so runny, you may want to check with your pediatrician and see if he/she can give them a different antibiotic that may be easier on their tummies. Since bacteria-based probiotics are also destroyed by the antibiotics, I would suggest using a yeast-based probiotic, such as saccharomyces boulardii (should be available at a health food store), during their course of antibiotics. After they are done with them, I would switch to the bacteria-based and give it to them on a regular basis to rebuild their intestinal flora. The diaper rash may be most improved by allowing them some diaper free time. I know this can be dangerous, but even a short amount of time can help. I don’t know if you have tried it yet or not, but I always used Burt’s Bees diaper creme on my kids bottoms successfully. It is worth a try. If it is bad enough you may need your pediatrician to take a look at it. If it seems like symptoms are not improving in your little ones after they are off the antibiotics, you may want to consider some sort of food sensitivity. As far as grapefruit seed extract goes, I have not seen anything about negative side effects and I did use it for my own kids, however, you probably should also check that out with your doctor. Best of luck to you! I have just bought new package of food supplements for my hubby. He never take food supplements, now is suffering bad cough. I wondering can he start taking the food supplements straight away or should he wait until recovered from the bad cough? Sorry to hear your husband isn’t feeling well. I don’t know exactly what supplements you got for him, but typically, they should be helpful to boost his overall health and immunity. Is he on any sort of medication that may interact with your supplements? The supplements that I mentioned in the article you inquired on would be helpful to him. Hope he feels better soon! Hello there, you are great and the information you are giving on your website is great, i really have to thank you so much my dear and god bless you. Could you please tell me if you know about a problem happened to my nephew (5 years old) when the dr. have prescribed him an antibiotic which did not work for his soar throat and then after few weeks he was not able to walk where in UK they have said that the same antibiotic given to the soar throat which didnt work wen to his hip bones and caused him an infection there. Could you tell us how to act when we take our kids to the dr. and they write us antibiotic, how can we make sure that it is the right one for their cases? and what about if the dr. tells you that he has to start immedietly the antibiotic as the congestion is strong and cant wait until he takes the culture test from his throat? Thank you for your kind words; they are much appreciated. I am so, so sorry to hear about your nephew. It is heartbreaking to think that the medicine that was to make him well has actually injured him further. It is rather difficult for me to comment on what happened to him because I don’t know what antibiotic he was on, what type of infection he was being treated for, how long he was on an antibiotic, how severe the infection was, etc. Also, I am not a medical doctor, merely a mom and student of common sense good health, so I don’t necessarily have the expertise to help you. Have you taken him to a different doctor to get a second opinion? You may want to start there. I would also look at the listed side effects of the drug he was given, both from the drug maker and online (you could try to Google it and see if anyone has had similar negative side effects). Is your nephew in good health otherwise? It seems odd to me that an antibiotic, which is used to kill bacteria in the body would cause an infection elsewhere, unless your nephew’s immune system is so weakened that he is very vulnerable. In general, you may want to work on building up his immunity with diet and supplementation. As far as what to look for at the doctor’s office, it will depend greatly on the doctor as to what kind of information you are able to obtain. A doctor who is sympathetic to alternative medicine and prevention of disease through good health will be fairly open with you about some nutritional alternatives that you may be able to try first if the infection is not serious. If it is a serious infection and antibiotics are not optional, I would ask the doctor how long the antibiotic has been in use. If it has not been on the market for very long at all (say less than 5 years) and there have been no long term case studies of it, I would see if there is anything else that could treat that strain of bacteria. There are some infections that are serious and need to be treated immediately with antibiotics. I am so thankful when those situations occur that we have those medicines. However, many minor and fairly common infections are most likely able to be treated with nutritional support, good diet, lots of water and plenty of rest. I usually ask my doctor what the likelihood of getting over the sickness is without antibiotics and whether or not they really need them or if I can try to wait a bit and see if they get well on their own. It is helpful to be informed about the infection/diagnosis. I usually do a little research on my own online on trusted sites (here in the States WebMD or the Mayo Clinic site are ones that I use). This is something you have to be a bit careful of because there is information that isn’t factual on the internet as well. If the dr. says you can’t wait for antibiotics, then you may just need to start them, but follow up on your own with good nutritional support and plenty of probiotics. I hope this helps! Let me know if I can answer further questions. I hope and pray that your nephew returns to good health very quickly! hi bonnie do you give all these everyday to your children and if so at what dose and what brands? and also while taking antibiotics what do you give your kids(dose)and kind of probiotics? Hey, I just happened to take some garlic today 🙂 I chop up 1/2 a clove in a spoon of honey, followed by a glass of water. I have also given my toddler some garlic powder and slippery elm bark powder (and sometimes a bit of ginger powder) mixed liberally with honey when he has a cold. Thanks, Andrea. I love the idea of the giving your kiddo garlic in powder form. Honey is a great idea, and I bet there are lots of other things it could be mixed into as well. Thanks for these reminders, Bonnie! I love that you are sharing your wisdom with all of us busy moms… keep up the encouragment, we need it! Thanks, Carrie! I hope that it is helpful to everyone. Finally the wisdom of Bonnie I can read every day! Thanks for the great tips! I am definitely going to try some of these especially the probiotics for Maddie. Do you give your kids a multi vitamin or do you just choose these and other vitamins/herbs individually? Thanks, Sally! I do give them a multi-vitamin as well. Oh, by the way, I do have a blog article in the works on multi-vitamins. I’ll try to finish it up soon. Let me know how it goes, Erica. Just remember to be patient… It can sometimes take awhile for your body to build up it’s defenses.